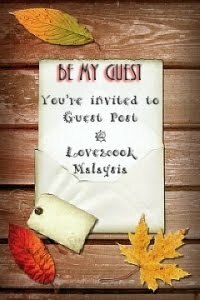 Guest Posting @ Love2cook Malaysia is back after a hiatus! This time, it's not from a blogger but a fellow reader of mine, Ms Sharmila. We got to know on FB after she tried one of my recipes. I've always welcomed non-bloggers to send me their signature recipes and it's an honour for me to feature my readers and their recipes in my little space here. Without them, I'm no one in the blogosphere. Few weeks back, Sharmila tried my Spicy Caramel Chicken recipe and sent me the pics together with her Thannisaar and many readers asked for the recipe. I wanted to ask my Mom as I never made it on my own before. When Sharmila offered to share her recipe with my readers, I couldn't say no! And I will never say no! I really admire her kind heart and willingness to share the recipe with us, thus I invited her to make a guest post in my space, which she readily accepted. That's the spirit!!! 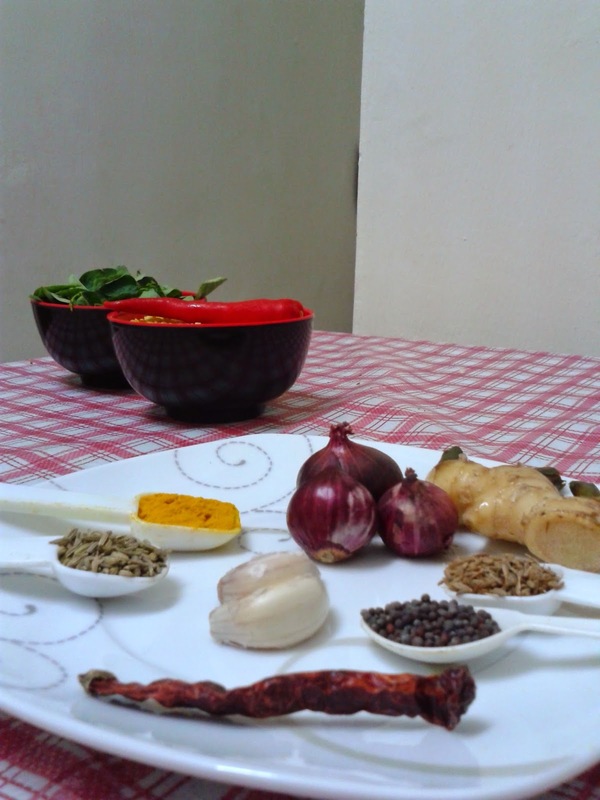 For the very first time, a non-blogger is sharing her recipe on Love2cook Malaysia. I'm truly blessed!!! Dear readers, if you have your own signature recipes and you would like to share them on my space...kindly click on Guest Posting @ Love2cook Malaysia. It's not a hassle...come, share your recipes here! Now, let's hear from Ms. Sharmila. My name is Sharmila and I am thrilled to be part of Sri's blog :) I only started cooking seriously about three years ago when I decided to leave the rat race. Started my career in the hospitality industry and later moved on to the financial services only to realise one fine day that my young and growing family needs me more. So, I decided to quit and tend to my family consisting of my supportive husband, son who is 6 years and a daughter aged 2. Being a fulltime mommy is definitely not an easy feat especially after being a career woman for 12 years. But after three years, I think I am fitting in well. Back to Sri, I stumbled upon her blog while browsing food blogs and was immediately attracted to her mouthwatering recipes coupled with amazing clicks that sets your tastebuds on fire. In addition to her food related post, you also get to know about her adorable kids. Such cuties. I actually shared my cooking pictures with her which featured one of her famous chicken recipe. When some of you requested for the Thanisaar recipe, I thought of sharing it with Sri but she had a better idea :) She invited me to be her guest writer. 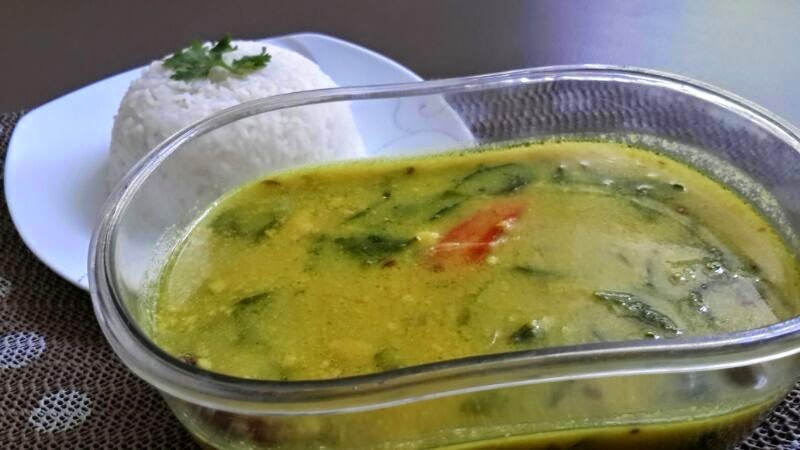 So, here I am with my humble Thanisaar recipe which I hope you will try. The dish is actually a simple dhall like curry, mild enough for children to savour. 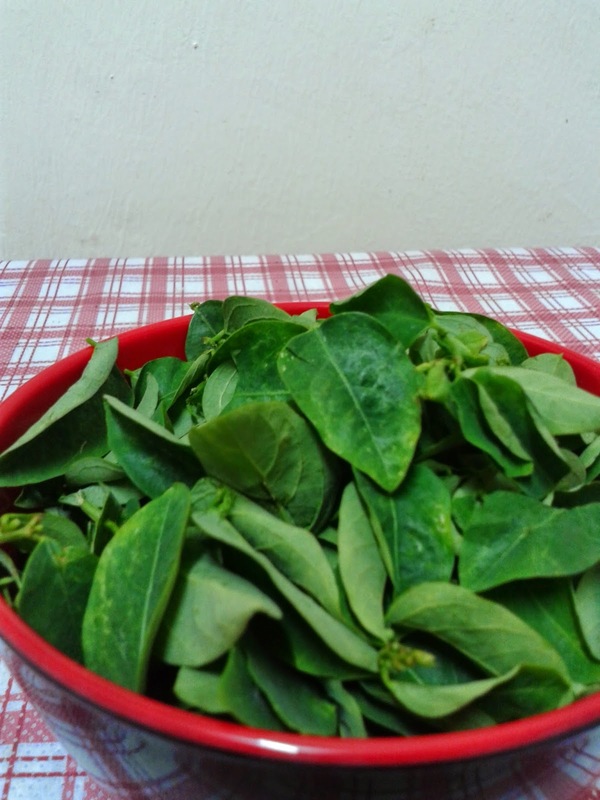 Some people add different kinds of green vege such as black nightstand (manathakalli keerai) but I prefer to use sweet leaves (sayur manis). 1. 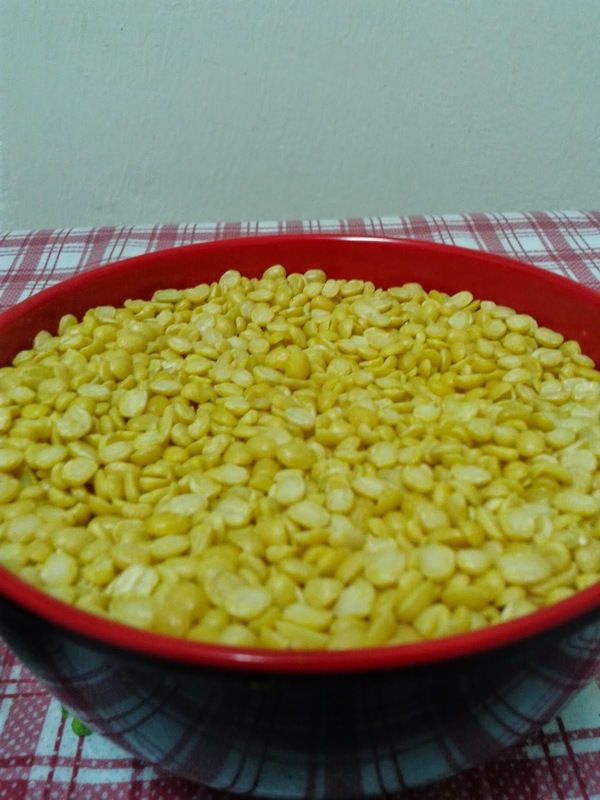 Boil the split mung beans / dhal with water until its soft and cooked. 2. Slit the red chilli and add into the pot with the dhall. 3. Next add the ginger garlic paste and the crushed cumin seeds. 4. 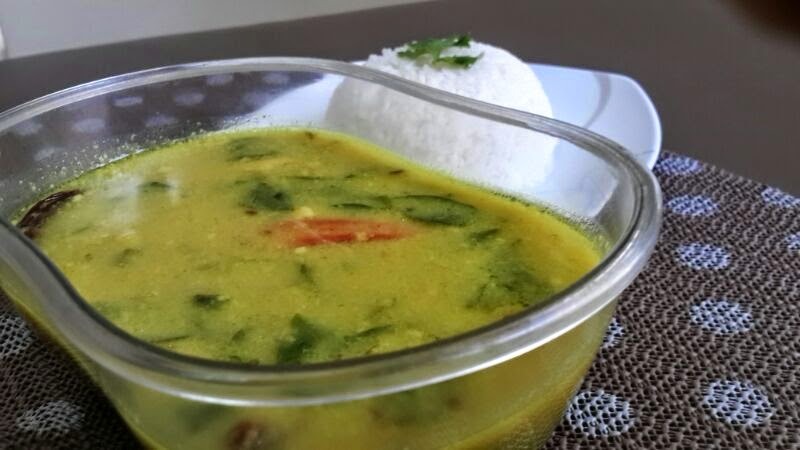 Add coconut milk, turmeric powder, sayur manis leaves, salt and stir well. Check for consistency and add water accordingly. Do not make it too dilute. Let it boil. 5. Once the sayur manis is cooked, off the stove and cover the pot. 6. In another pan, heat the ghee / oil and splutter the mustard seeds, fennel seeds and cumin seeds. Add in sliced onions, dried chilli and sauté till the onions turn slightly brown. Love this dish anchovies or tofu sambal...slurpppp!!!! Lovely! I can slurp it up just like that or banjir my rice! Thank you Sharmila and Sri!